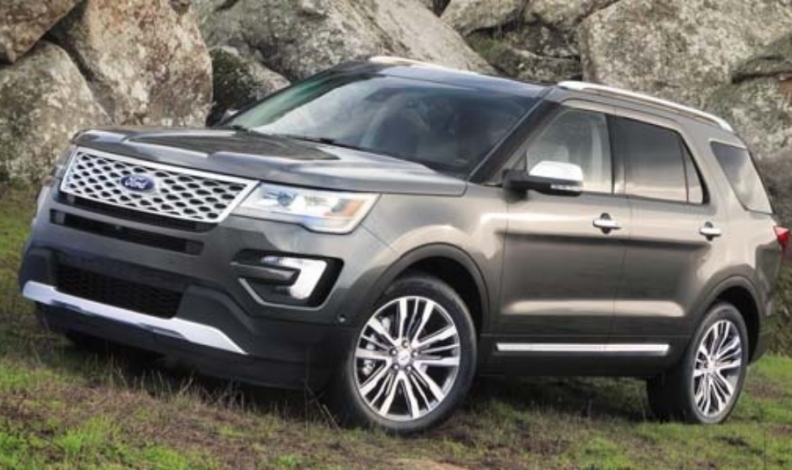 OTTAWA — Ford is recalling nearly 21,000 police and civilian models of its popular Explorer SUV in only Alberta, Saskatchewan and Manitoba to replace suspension parts that can bend or break because of an accumulation of soil specific to the Canadian Prairies. Transport Canada, which posted notice of the recall May 3, said “soil properties unique to these areas” can cause mud to pack onto rear toe links and cause them to bend or fracture. “A fractured toe link would affect vehicle handling and could increase the risk of a crash causing injury and/or damage to property,” the agency said. The automaker said it is aware of three accidents, one with injuries, related to the issue. The recall affects 19,700 Explorers and about 1,000 Police Interceptor Utility vehicles from the 2013-2017 model years and covers only the Prairie provinces. Ford said it will replace the toe links with redesigned units on the affected models, which were built at its Chicago Assembly Plant between Feb. 6, 2012, and Jan. 19, 2017. Nissan is recalling 1,567 Sentras from 2014 to 2017 and Leafs from 2015 to 2017 to replace front passenger airbags that may not inflate in a collision. Transport Canada says coolant within the inflator housings may lack sufficient compression strength because of a manufacturing issue. Nissan will also replace front passenger airbag modules on 107 Versa Note models from 2017. A manufacturing defect could cause the airbag cushion to separate from a ring plate in a crash, increasing the risk of injury. Audi is recalling 35,575 Q5 and Q7 sport-utilities in an expansion of an earlier recall to repair cracked fuel pump flanges that can cause gasoline to leak and start a fire. Dealers will replace flanges that show fractures and coat other ones with a butyl protective film. The recall affects 2013-2017 Q5s and 2013-2015 Q7s. Audi is also recalling 394 A3 models from 2015 to replace certification labels that may bear incorrect vehicle production dates.